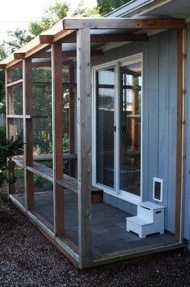 Outdoor Enclosures - Daisley Siberians Welcome to the kitten site! 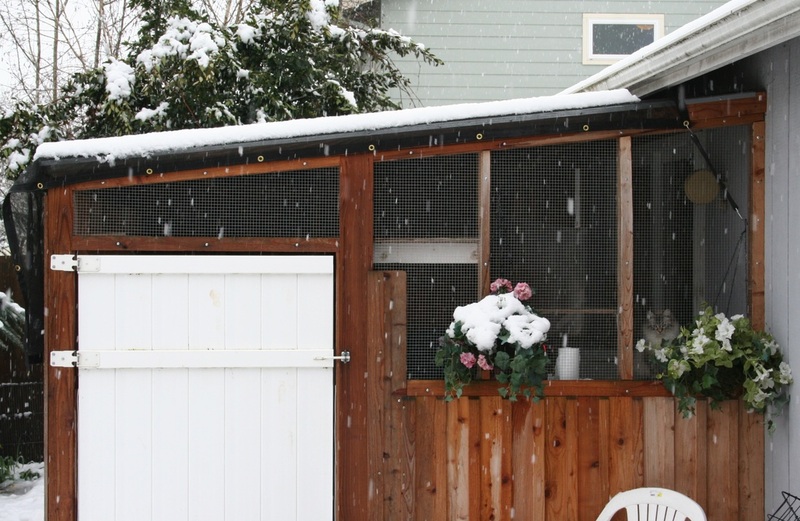 Here are multiple ideas for outdoor time. Here is a link to a great idea resource for "catios". CLICK HERE. Some are big, some are small and portable.. .. please send me any ideas you want to share too! 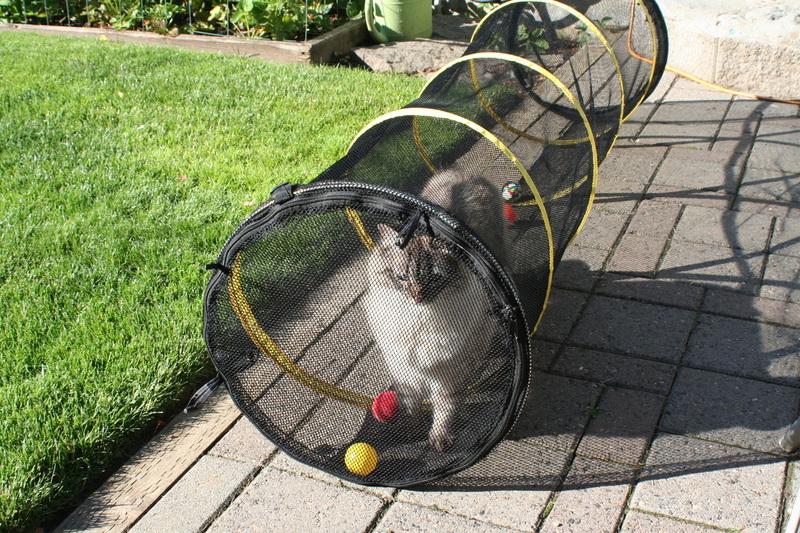 Tatianna, in Hillsboro, Oregon, has a portable tunnel that works inside and outside. She can roll it around the lawn! Click on the tunnel photo above for purchasing information. Eustoliia peeks out of her cat patio.. at our house: a cat flap into the house, heat and ventilation make it a great room all year round. 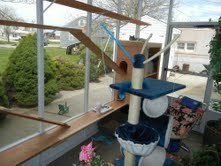 Oskar in New Jersey has a glass patio..
Oskar peeking from the top of his multi-story box. 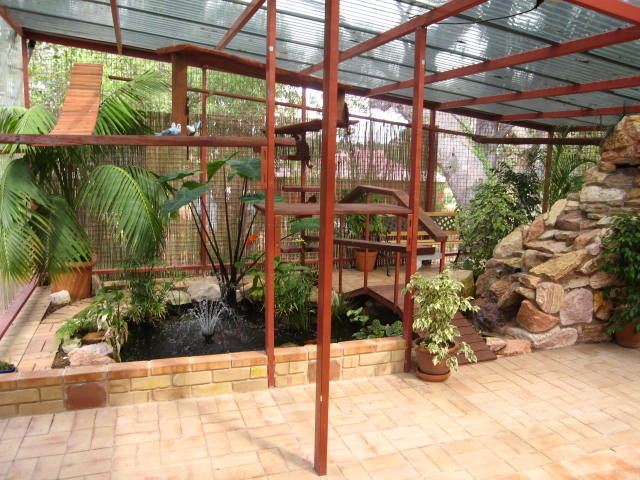 This photo courtesy of pawpeds.com shows a wonderful cat room complete with water feature. Photo courtesy of Lundberg Siberians. 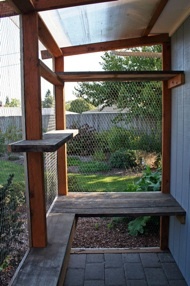 A slim profile with wire mesh walls makes a happy cat! 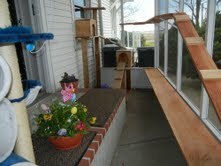 Note the cat flap into the home. Interior view of above run. Courtesy of Lundberg Siberians.